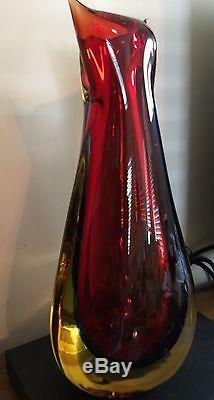 Beautiful Hand Blown Glass Vase, Pristine Condition, From Murano Italy. 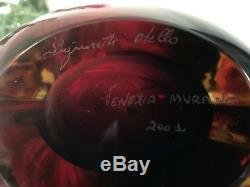 Hand Signed By the Artist Signoretti At The Factory In Venice, Italy. See Pictures and Signature for Assurance. Large 16 1/2 Inches High, 8 Inches Wide At The Base, Weight 16 LBs. 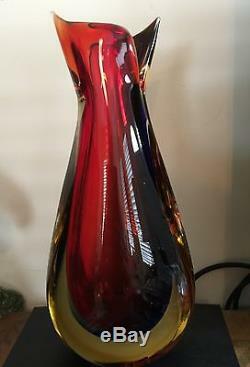 The item "Murano Hand Blown Glass Vase, Pristine, Signed By The Artist 16 1/2 Inches Tall" is in sale since Monday, August 28, 2017. This item is in the category "Collectibles\Decorative Collectibles\Vases". 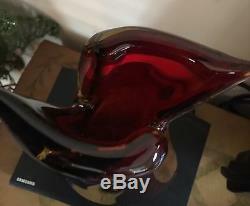 The seller is "myrnfitc-0" and is located in Babylon, New York. This item can be shipped to United States.